Fluoride Free Windsor, Heather Gingerich of the International Medical Geology Association and three local residents presented to Amherstburg Council about the product, the law, the health effects and the ethics of artificial water fluoridation. Council was very receptive to the facts presented to them and voted unanimously to cease fluoridation (or rather to put a moratorium on it until hydrofluorosilicic acid is tested and shown safe (not likely to ever happen) and to not undergo the equipment upgrades that would be required for them to re-establish their fluoridation practice). Councillor Davies (and nurse practitioner when she isn’t wearing her councillor hat) spear-headed the motion, she’s known ‘since she had brown hair’ that fluoridation is bad for our health. Congrats to all of the Amherstburg residents, tourists and visitors – your drinking water is now safer for everyone! Kudos to the progressive council who were able to discern modern research from worn-out policies; who chose to be proactive in their protection of future generations and who opted to take precaution when it comes to living in harmony with our environment. Is a Fluoride Free County next? Fluoride Free Windsor presented to Tecumseh on January 24th where a motion was passed to defer any decision until more information could be obtained. Deputy Mayor, Cheryl Hardcastle, wanted to know about the fluoride product used by the WUC. She asked if it was the same as what is in the dentist’s office (definitely NOT!) and if it was the “smoke-stack stuff” she’s heard about (definitely IS!). Councillor Jobin asked if there was a safer fluoride product that didn’t contain the co-contaminants (yes there is, still toxic but not contaminated pharmaceutical grade sodium fluoride which was originally used before the bait and switch to the cheaper unregulated industrial hfsa), councillor Ossington said we should have a choice and not be forced to drink fluoride and councillor Bachetti said his young daughter had many cavities. He wasn’t convinced about effectiveness and wanted to know what else it could be doing inside our bodies. Mayor McNamara gave a long speech and went off topic even mentioning wind-turbines at one point. He is the chair of the Health Unit Board and believes in keeping the status quo policy. He asked “Is there enough science out there to justify the risk?” and we ask where are the toxicological studies and clinical data done with hydrofluorosilicic acid to show it is safe for us to be ingesting every day of our lives and safe to dump into our environment? Here’s a hint – there aren’t any. And consider that the best the fluoride lobbyists can claim(if you take what they say without controlling for delayed tooth eruption caused by fluoride) is that 1-2 tooth surfaces will be saved from dental decay (a molar has five tooth surfaces) so we’re drinking industrial waste to maybe prevent one tooth from decay. Indeed, Mr. McNamara – can we justify the risk? 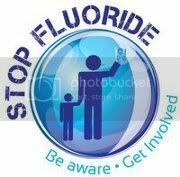 Fluoride Free Windsor will be presenting to the Town of Lasalle council at their next meeting, February 14th. Come out and show your support for SAFE WATER!! This entry was posted on February 7, 2012, 10:27 am and is filed under Uncategorized. You can follow any responses to this entry through RSS 2.0. You can leave a response, or trackback from your own site.